Arp 148 is the staggering aftermath of an encounter between two galaxies, resulting in a ring-shaped galaxy and a long-tailed companion. The collision between the two parent galaxies produced a shockwave effect that first drew matter into the centre and then caused it to propagate outwards in a ring. The elongated companion perpendicular to the ring suggests that Arp 148 is a unique snapshot of an ongoing collision. Infrared observations reveal a strong obscuration region that appears as a dark dust lane across the nucleus in optical light. Arp 148 is nicknamed "Mayall's object" and is located in the constellation of Ursa Major, the Great Bear, approximately 500 million light-years away. 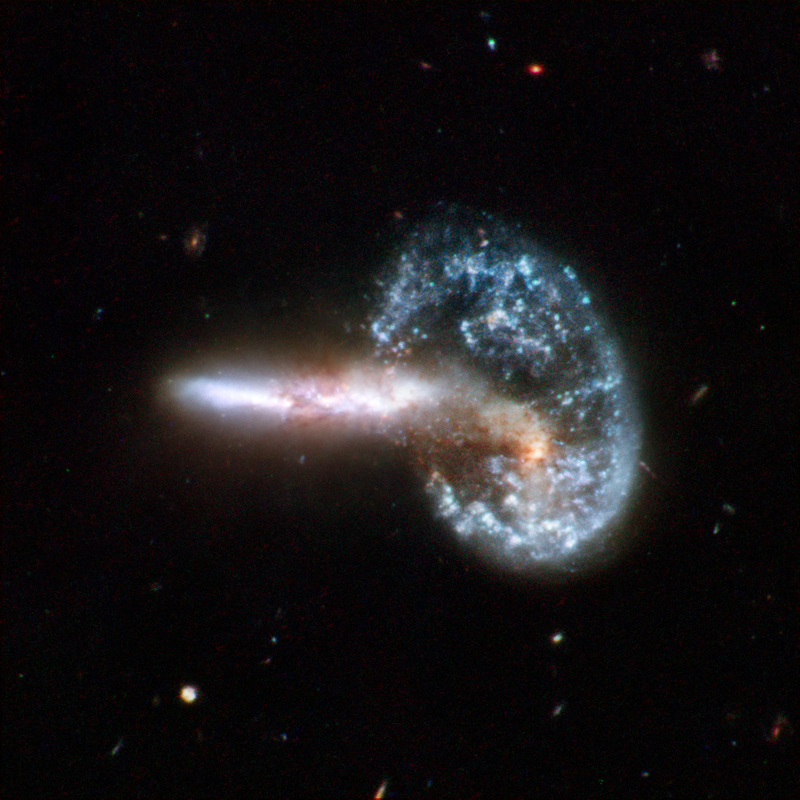 This interacting pair of galaxies is included in Arp's catalogue of peculiar galaxies as number 148. Position (Dec): 40° 50' 59.71"